Select a highlighted date to see what events are scheduled for that day. 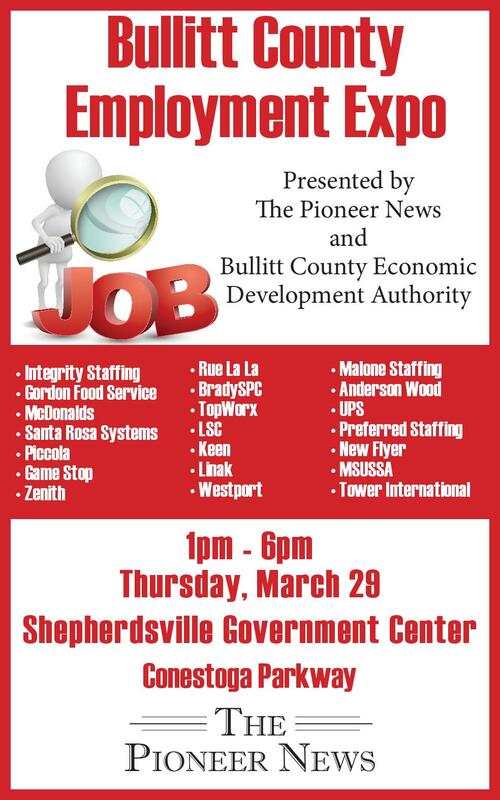 Bullitt County Employment Expo is happening on March 29, 2018! Hillview Police save two people with naloxone! Robbery suspect Larry Randall Rose entered guilty pleas in Bullitt County Circuit Court on Thursday, March 10, 2016 for two counts of Robbery 1st Degree. Rose was accused of robbing the Sav-A-Stop Market located at 11489 N. Preston Hwy. at knife point during the early morning hours of July 29, 2015. Rose later returned to the Sav-A-Stop Market the following morning, July 30, 2015, and robbed the clerk again at knife point. Officers were able to located Rose's vehicle, shortly after the second robbery, parked in a residential driveway on Waycross Ave. just across the county line in Jefferson County. Rose barricaded himself inside of the residence and refused to comply with officer's commands to exit the residence. Louisville Metro S.W.A.T. was activated and responded to the scene. Following an 8 hour stand off with police, Rose was eventually taken into custody without incident after S.W.A.T. officers made entry into the home. Rose was located hiding inside of a kitchen cabinet within the residence, and he was turned over to Hillview Police officers on the scene. Forensic Evidence collected at the Sav-A-Stop Market and from Rose's residence on Waycross Ave. later confirmed that Rose was connected to both robberies. The investigation into both robberies revealed that Rose acted alone during both incidents. As part of his guilty plea, Larry Rose has agreed to a 17 year prison sentence with the possibility of parole after he serves 15 years. Sentencing will take place on April 12, 2016 in Bullitt County Circuit Court.